Celebrate your grandparents this year with an ornament that will long be treasured in your family. 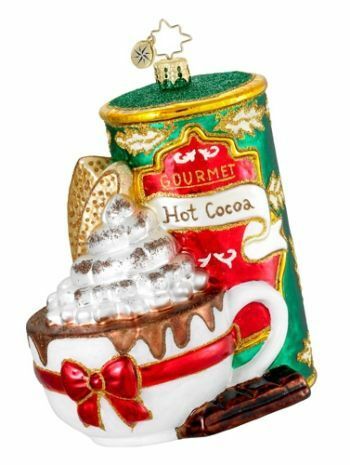 The warm cup of cocoa for grandparents personalized Radko ornament can be customized by our calligraphers with up to seven names of grandchildren or six names and the year. The recipients will appreciate the Old World design and quality of this handcrafted creation that brims with warmth and seasonal cheer. It's one of our Radko grandparent ornaments that will be shipped in special Radko packaging and box if you select that option. Bring holiday cheer to special people this year with the Radko warm cup of cocoa personalized grandparents ornament.